Since 2010, the Arab Spring has captured the attention of the world. Whilst the first wave of popular uprisings gave hope for peace across the region, events have since taken a turn for the worse. The news is now filled with stories of violence and devastation, giving an impression of little hope and even less peace. However, this is just one side of the story. 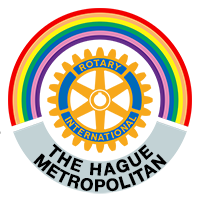 The Global Partnership for the Prevention of Armed Conflict (GPPAC) is organising an event in partnership with the Rotary Club The Hague (RCTHM) Metropolitan, to fundraise for a new publication in our People Building Peace series. This issue will focus on stories from the Middle East and North Africa, providing a counter narrative to the daily stories of bloodshed and strife. It will highlight the positive stories of dialogue, nonviolence and understanding, and amplify the voices of those in the region who are working for peace. 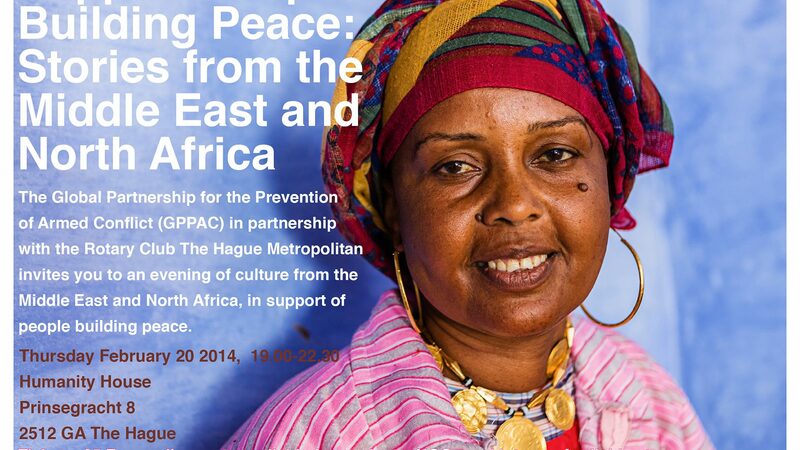 The event will take place on Thursday 20 February 2014 from 19.00- 22.30 at Humanity House in The Hague. You will be treated to a cultural evening, combining performances and reflection on topical issues relating to the Middle Eastern region. Activities will include performances from musicians and dancers from the region, and throughout the evening, a GPPAC member from Lebanon will be available to provide information on the work of our network in the region. You will also be able to meet peacebuilders from Lebanon, Kyrgyzstan, South Africa, Mexico, Argentina, Sri Lanka, Japan and Fiji. 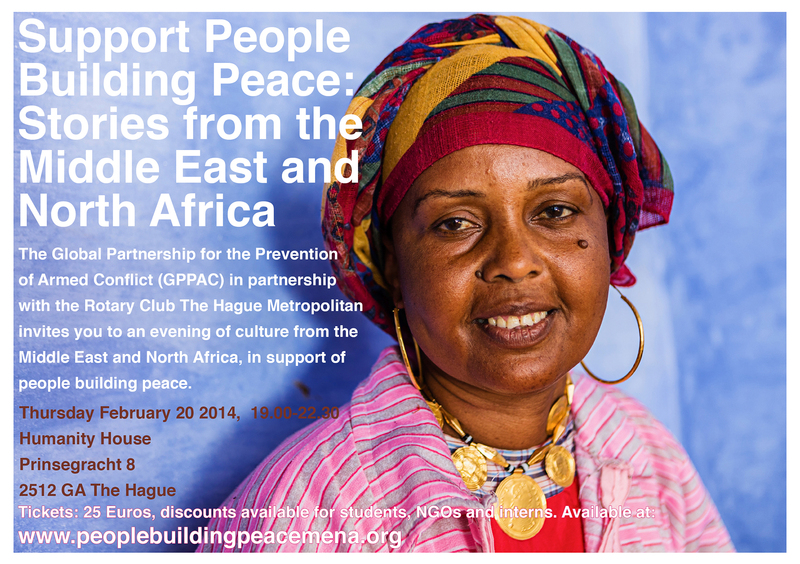 For more information about the programme and to buy tickets, click here.